Alsoft V contains ethanol as the active ingredient and has a broad spectrum of activity, effective not only aganist viable bacteria, fungi and enveloped viruses but also against non-enveloped viruses. How to use : Apply directly to the palms and rub into skin until dry according to the prescribed method. 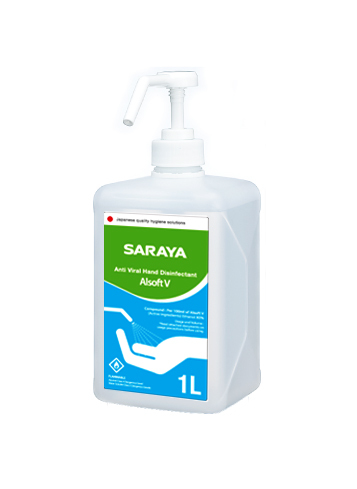 Rapid acting alcohol disinfectant gel.